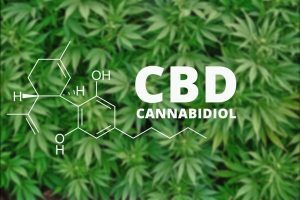 Confused on Recent Federal Changes with Cannabidiol (CBD)? Ever since the news dropped that the Food and Drug Administration approved the first cannabis-derived drug Epidiolex, the GW Pharmaceuticals drug which is designed to treat two rare forms of childhood epilepsy using a marijuana compound called Cannabidiol (CBD), we’ve been hearing several comments and inquiries on how these developments will impact employer workplace screening programs. CBD is one of the 400+ ingredients found in marijuana and is not psychoactive. To date, nearly 20 states have passed laws allowing for the use of a CBD extract, usually in oil form, with minimal tetrahydrocannabinol (THC), and often for the treatment of epilepsy, seizures. The federal ‘green light’ came on the heels of several months of promising research results and a positive preliminary vote from the Food and Drug Administration this spring. Experts are hopeful that the approval will unleash a wave of new interest in the potential medical applications of CBD and other marijuana compounds. The announcement also mentioned that this approval means that the Drug Enforcement Agency (DEA) now have 90 days to reschedule CBD, which is listed in January of last year as a “marihuana extract” separate from “marihuana” or THC. That means instead of being listed alongside marijuana as a Schedule 1 drug with “no currently accepted medical use,” CBD will soon be categorized as either a Schedule 2 or 3 drug, much like the popular ADHD medication Adderall. That statement pushed wide-spread speculation & confusion as to what exactly will happen next. Will CBD now be legal at a federal level? Will the oils & topicals made with CBD, that is widely available in states that have legalized the medical & personal use of marijuana, now be available in all states? Will employers need to revise their policies or procedures now that CBD is an approved ‘drug’? Thankfully, on Friday 9/28, the DEA & Department of Justice issued a Final Order detailing the changes. So, no, the DEA has not rescheduled CBD across the board. Essentially, the only CBD medicine considered to have a medicinal function, according to the FDA, is Epidiolex. The federal government still considers all other cannabis-derived CBD products (which do not have FDA approval) to be a violation of federal law. The topic of the medical & personal use of legal marijuana has dominated conversations for employers across the U.S. and shows no sign of slowing down. As we have advised for many years now — employers must take action to review their current workplace policy & related procedures to ensure their program is compliant with mandatory &/or voluntary state laws, state-specific marijuana laws, federal laws (such as the ADA, Human Rights & discrimination) & the impactful court decisions that have been ruled.